Take a look at the pharmacology of common recreational drugs found at clubs, parties, festivals and other social events and how they are changing the way we practice healthcare. 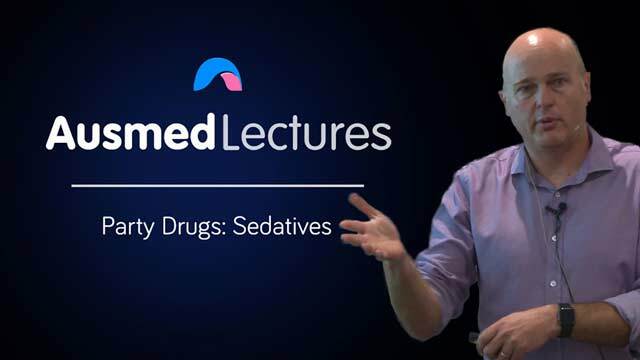 This session focuses on recreational drugs that have a sedative effect including benzos, opioids, ketamine and nitrate. Dr Shaun Greene is a clinical toxicologist and emergency medicine physician who works at Austin Health in Melbourne. He is currently medical director of the Victorian Poisons Information Centre and director of the Austin Hospital Clinical Toxicology Service. Shaun trained as a clinical toxicologist in the United Kingdom where he developed a keen professional interest in recreational drugs. His research interests include novel psychoactive substances and pharmaceutical opioid harm reduction. Very interesting and educational good examples stated. Dr. Greene is a wealth of knowledge and wonderful presenter. Thank you Shaun. Excellent. Encouraged more reading in the subject. Extremely interesting, informative and well explained- I enjoyed this very much. A nice brief overview of popular party drugs used by adolescents today, with a concise and structured lecture highlighting each drugs mechanism of action, pharmacodynamic, and treatment. Informative and provided myself with a basic understanding of the presentations of clients affected by part drugs, such as sedatives.